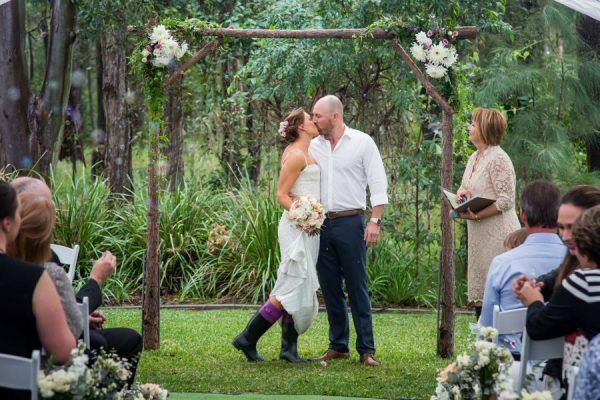 Kristy and Kurt had their beautiful Caloundra wedding at the picturesque Ivadale Lakes Stockyard Park last month. 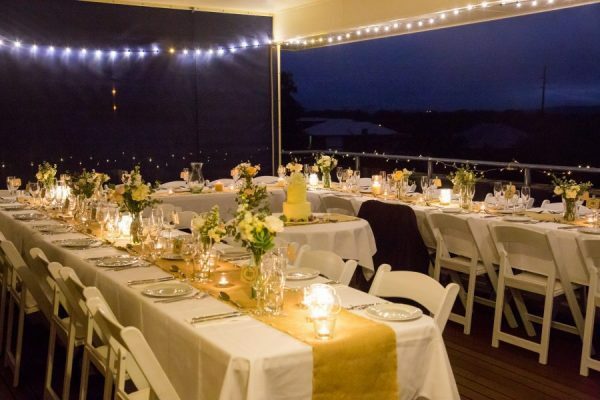 It was a lovely intimate wedding ceremony conducted by Kristy’s beautiful mother Paula Koda Caloundra’s local celebrant. 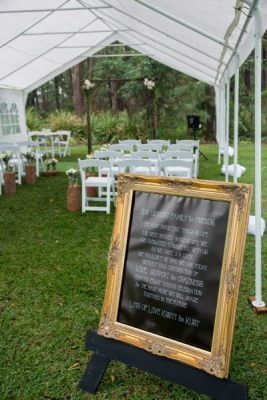 Could not get more sentimental then being the one to officiate your daughter’s marriage to the man of her dreams. 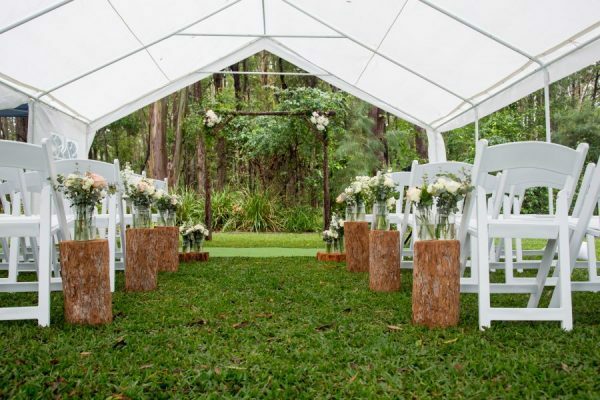 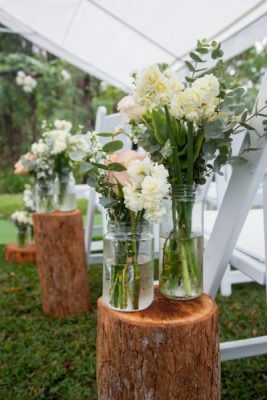 Lining the aisle of our Americana chairs stood fine cut wooden logs with lushes floral arrangements. 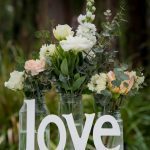 A handcrafted wedding sign to greet the guest on their arrival. 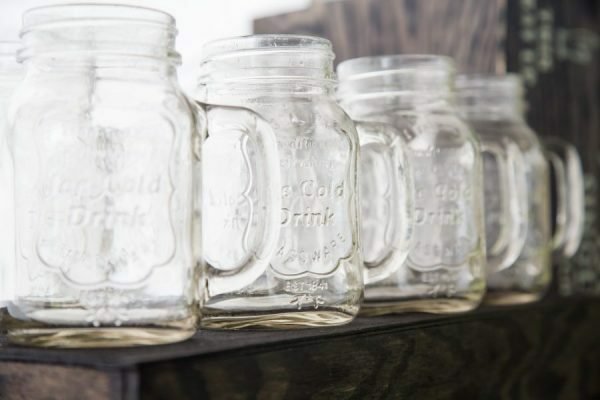 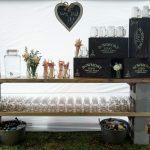 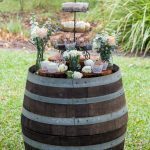 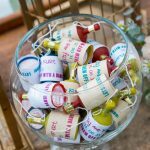 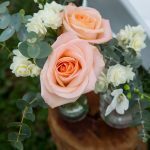 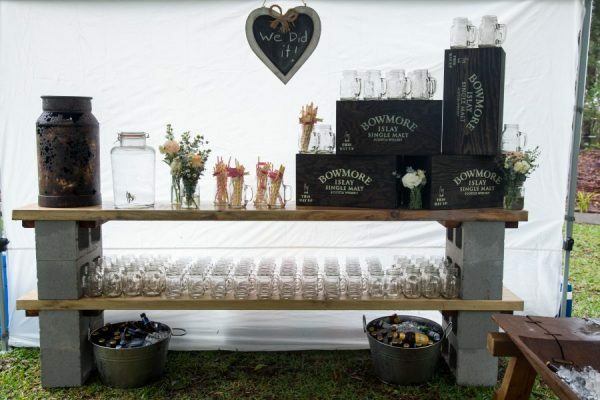 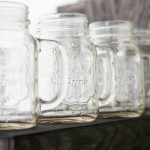 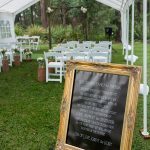 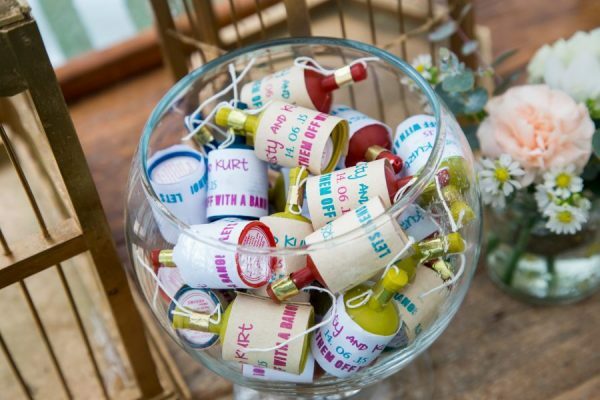 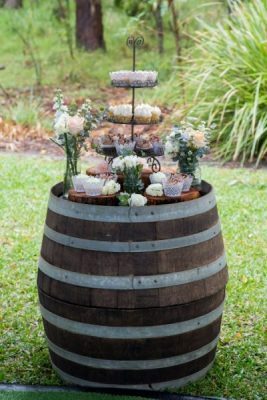 Kurt and Kristy chose some unique wedding styling props including a custom built drink station with a wooden trough barrel. 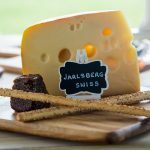 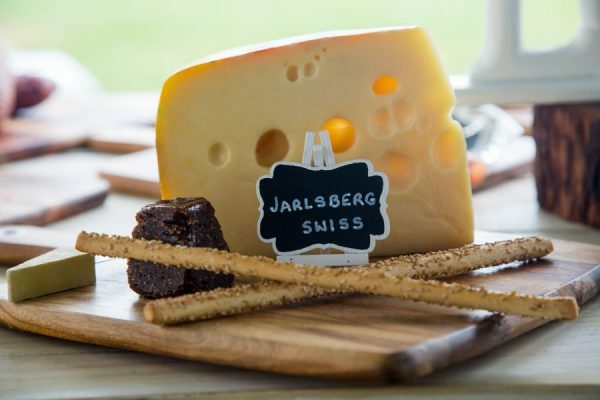 Did I mention their cheese selection presently perfectly on wooden chopping boards? 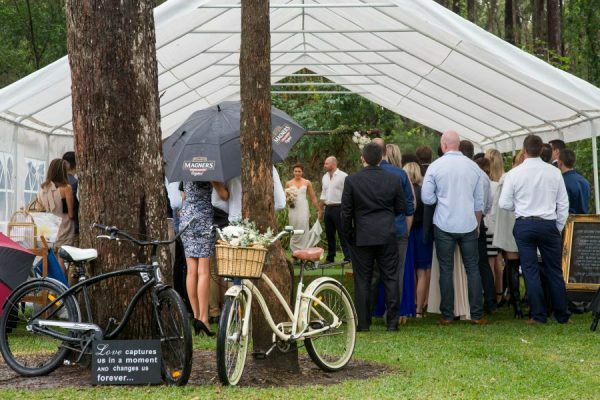 The couples much-loved cruisers were even featured. 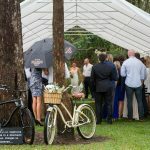 Arriving in style was not a hard task with Deluxe Kombi Service to assist. 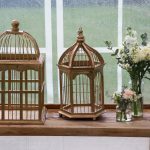 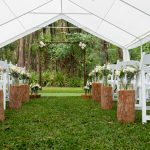 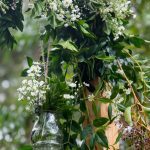 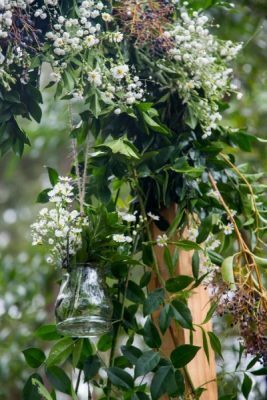 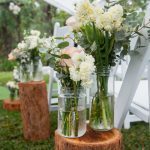 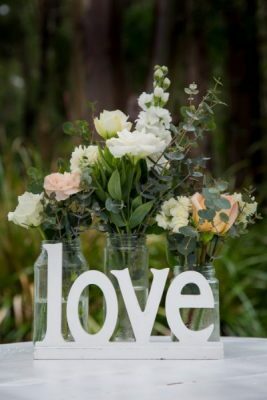 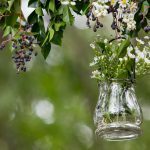 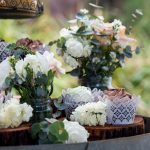 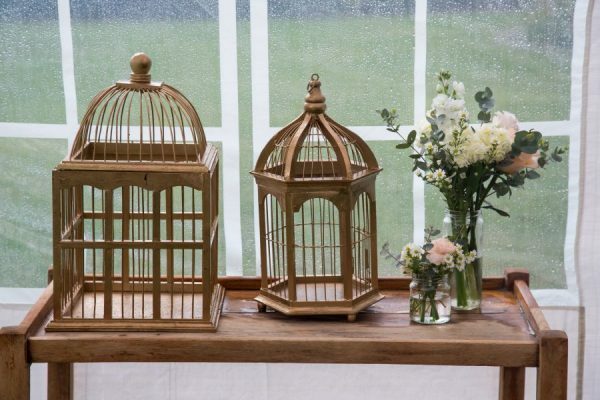 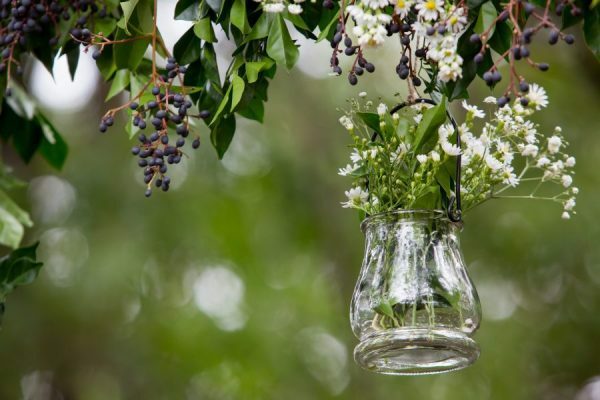 On arriving back to the wedding reception at their family home, there were perfectly styled long tables with beautiful jars of fresh flowers, magical fairy lights and more. 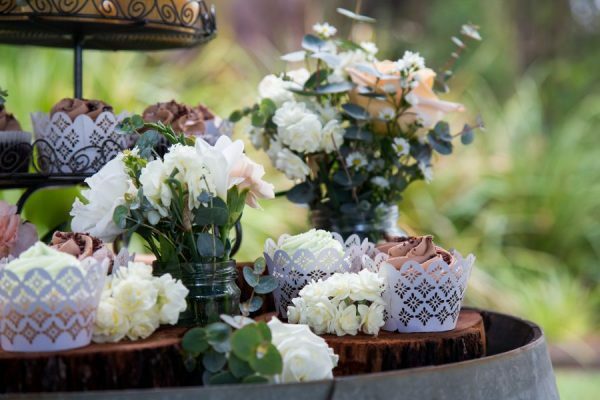 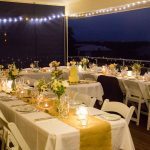 A flawless setting for a fun night of celebrations and delicious cake by Chocolate 2 Chilli. 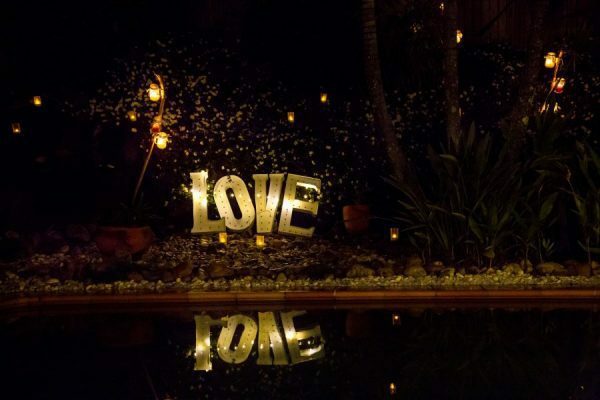 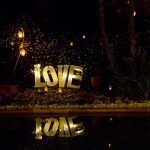 Light up LOVE letters shone while Kurt and Kristy to the dance floor for their first dance as husband and wife on a clear perfect night in Caloundra! 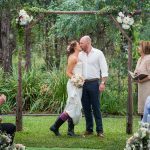 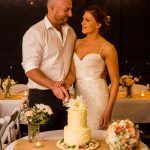 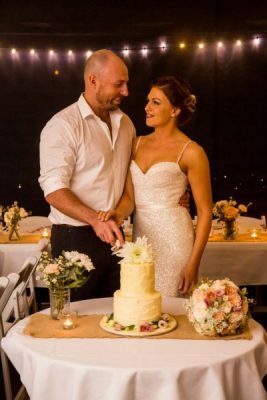 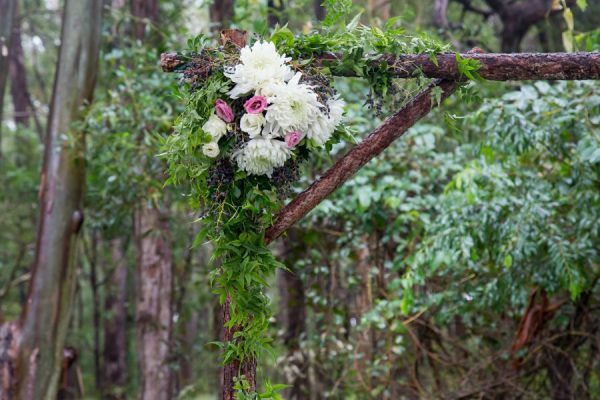 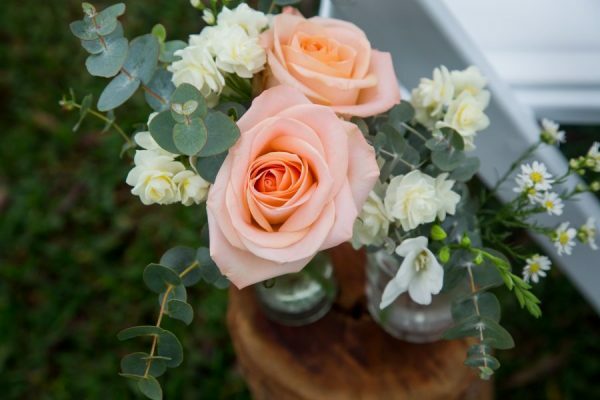 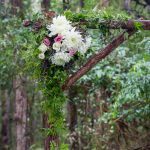 These beautiful photos of Kurt and Kristy’s love story were captured by one of the best Sunshine Coast wedding photographers Lou from Images By Lou Obrien.